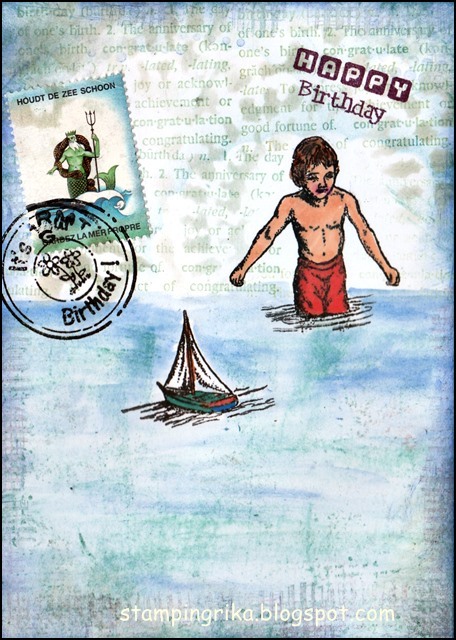 This week’s theme is chosen by the delightful Sabine… and it’s MAIL ART which seems to have had a popular resurgence lately. Huge thanks to Jenn for joining us as hostess last week. remember to make your postcard 6 x 4 inches in size. please please please do this. i don’t like to be negative when your artwork is amazing but it’s on the wrong size. This week, Cindy is here with a fabulously regal theme of QUEENS. wonderful entries for the ‘water’ theme. thanks so much for joining in with us and thanks to Rein for choosing the theme. Today’s theme was chosen by Rein and is WATER… of course WATER could mean anything from the sea, to taps/faucets. There’s lots of different ways of using Water in your postcard art.